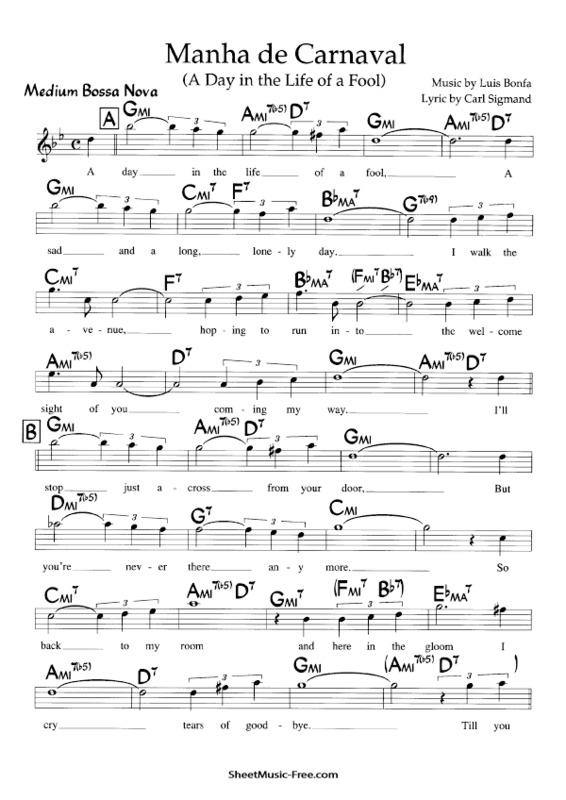 Download Manha de Carnaval Sheet Music, music composer Luiz Bonfa and lyrics by Antonio Maria. was composed in 1959 as the main soundtrack of the movie Black Orpheus director Marcel Camus. It is one of the most popular Brazilian songs and international style Bossa Nova. You can download Manha de Carnaval Sheet Music Luis Bonfa completely free from the link is under the following image of the score.